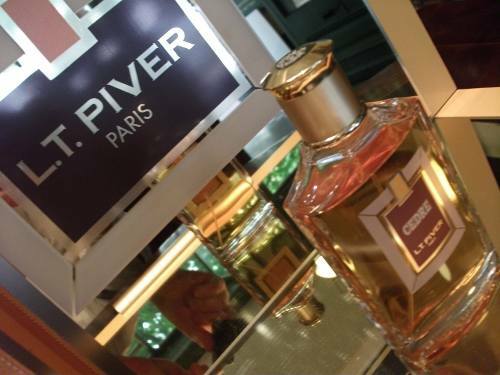 L.T.Piver is synonymous for over two centuries with refined, original fragrances and its incomparable expertise and elegant perfumes continues to be the incarnation of a world of seduction, dreams and emotions. From modest beginnings in 1774, a small Parisian store called "A la Reine des Fleurs" rose to become official purveyor to the court of Louis XVI. Within one hundred years Piver had conquered the world with over one hundred branches around the globe including England, Belgium, Spain, Austria, Russia and Brazil. Keeping it gentle, subtle and none too obvious, Spices is a new scent for men from Piver who have combined the unusual use of chilli and cinnamon with oriental base notes of vetiver, sandalwood and musk. Extra lift has been provided by the bergamot and lemon. "classic with modern...traditional with progress"